Grace Seunghee Paek, Lic.Ac. (Licensed Acupuncturist) completed a six year long Oriental Medical Doctor program at Kyung Hee University and was licensed as OMD in S. Korea. Kyung Hee University is the oldest and top-notched school for studying Korean style oriental medicine in Korea, where this traditional medicine has been practiced for thousands of years. The degree she was awarded is the first professional degree in medicine and is comparable to graduation from an accredited medical school in the United States. * The program included over 6000 hours of extensive instruction in the theories and clinical training of oriental medicine. Western medicine and related fields were also a significant part of the training. Grace is a licensed acupuncturist by Board of Registration in Medicine, Commonwealth of Massachusetts and is a diplomat in Acupuncture by National Certification Commission of Acupuncture and Oriental Medicine (NCCAOM). 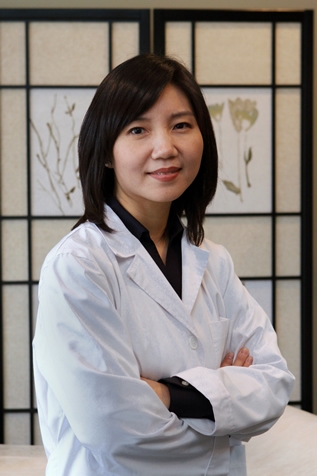 She remains an active professional acupuncturist in good standing in both organizations. She lives in Lexington with her supportive husband and two children, aged 19 and 15. She is a devoted Christian and actively involved in church activities and ministries. On the contrary to many people’s thought, oriental medicine does not have religious backgrounds such as Buddhism or New Age. It’s sad to see that new-age beliefs and spiritual relativism sometimes influence the way acupuncturists portray themselves. We, as Christians, believe that God is the only healer and rely on His Grace in treating our patients. Our Mission is to maintain an environment where medicine is practiced with integrity and compassion; where each patient is assisted in fulfilling his/her vision of health and well-being as a whole.